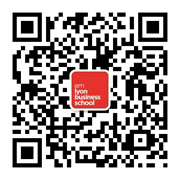 The emlyon Global DBA Program Asia Track has been specifically designed in response to a growing need of business leaders to challenge current business practice and devise new methods for progression in times of technological and geopolitical change, and increasing uncertainty. Ms. Ying Zhao, Chief Editor of WhichMBA.net, has in-depth research and unique insights into the development trend of business schools in globe, and is familiar with the characteristics of top business school executive education and career planning for senior and middle executives. The Top DBA Program Guide in China compiled by Ying, outlines the development status and market structure of the DBA programs and comprehensively analyzes on the perspectives of DBA curriculum, DBA participants profiles, and DBAers career development. emlyon Global DBA program invites Ms. Ying ZHAO to share on her DBA life and research topic, and how to convert her years of industry wisdoms and experience to a theoretical level through her doctoral research. As such she will make an academic contribution to the development of the industry and society. What you can learn from the coffee chat? Ying ZHAO has been engaged in media operations and marketing for many years. She has served as a national and media correspondent in Europe, and a producer of two sets of financial channels in CCTV. After attending the School of Film and Media Studies at Stirling University in the UK, she obtained a Master's Degree in Science in media management. During her stay in UK, She were in the Financial Times London office doing financial media strategy research. Ying is well versed in the development trend of global business schools, and has compiled industry insight reports such as Top DBA Guide in China, Top EMBA Guide in China and Top MBA Guide in China. Over the years, she has guided many middle to senior executives to plan their careers by choosing the business school and management education. to become scholarly business leaders.